I strive to provide the best and most current techniques in head and neck surgery. Following my training at the University of Toronto, Cedars Sinai in Los Angeles and Sloan Kettering here in NY, I was appointed as Residency Director at Manhattan Eye Ear Throat Hospital. 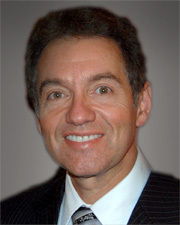 Since 1987, I have been in private practice in Manhattan and Queens, where I am the Chief of the Head and Neck Service. I have had over 30 years of experience dealing with tumors in this region. My interests include thyroid and parathyroid surgery, salivary gland surgery, cancers of the oral cavity and larynx and the treatment of sinusitis. Nerve monitoring during complex surgery is frequently utilized. This is a solo practice so all patients are seen and treated by myself, both in the office and in the operating room.